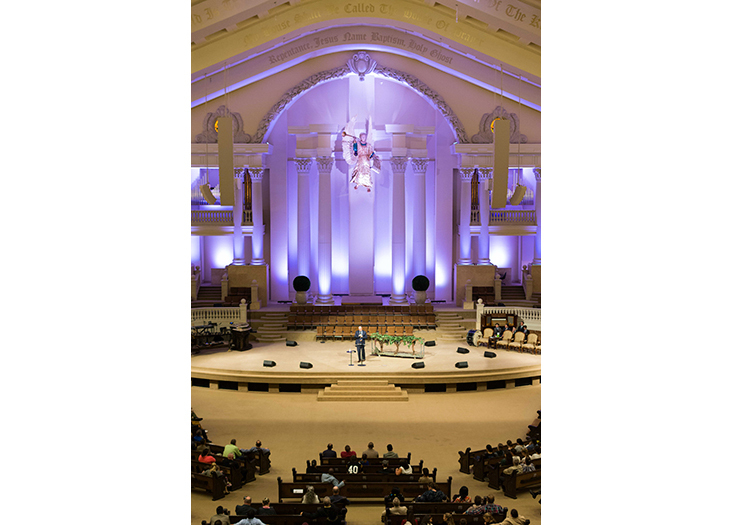 The recent audio upgrade by Clark at the First Pentecostal Church in North Little Rock, Arkansas featured the world’s first installation of both Martin Audio’s new Wavefront Precision Compact (WPC) and Mini optimised arrays with iKON amps along with CSX218 subs and the new LE100 monitors. 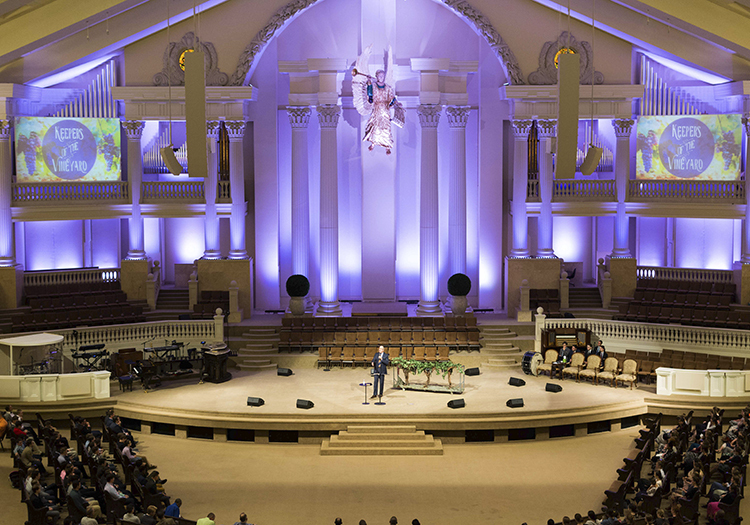 As described by Clark Project Manager Brandon Byrd, “The Church needed to replace an old, worn-out PA that didn’t cover the room or provide the audio quality and clarity they needed. Martin Audio had just come out with the new WPC system and it was a perfect choice for this installation because it offered great Martin Audio sonic performance and optimised coverage and control for the price. 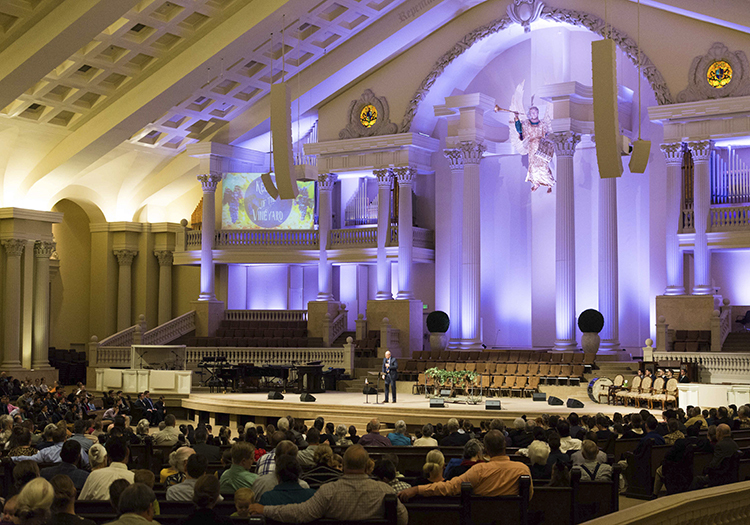 Asked about the system, First Pentecostal Technical Manager Nick McKinnon explains, “We were looking for speech intelligibility first and foremost. Conveying the message whether it was song or speech is our absolute priority. 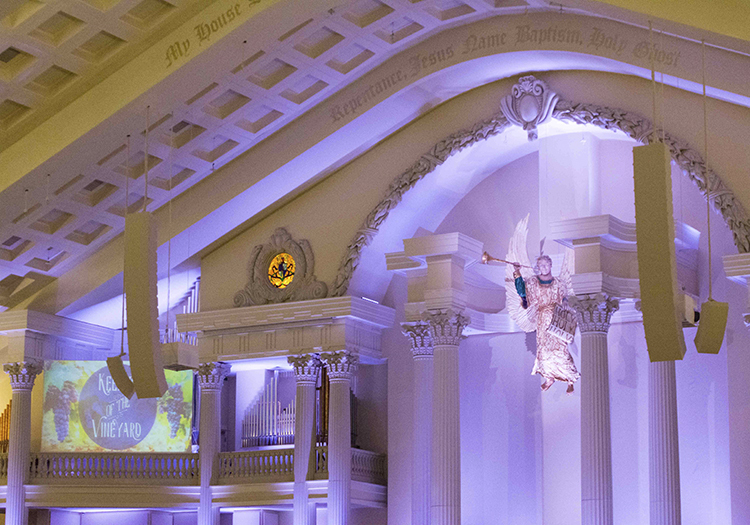 Keeping the vocals over the music and the preacher’s sermon clear and present in what is a very reverberant space is critically important for us. Nick McKinnon added, “When it comes to music reproduction, WPC is like sitting in front of a great set of studio monitors. We have a Midas Pro X console and we’ve gone from making 9dB changes in the EQ to 2 and 3 dB changes and really noticing the difference. The changes are very audible—we’re even hearing the compressors now if there’s too much reduction. “We’ve also solved problems onstage with the new LE100 monitors. They combine compact, low-profile enclosures that give us expanded individual coverage for performers and speakers and they sound really good.